Buying real estate is probably the biggest decision and financial commitment you will ever have to make. However, it is also an exciting turning point in your life, one that will certainly make a huge impact on your lifestyle. The first step is to decide what kind of home will suit your tastes and lifestyle. Establish family priorities - don't forget to include the kids in the discussion! Consider potential changes in your lifestyle, size of family, job changes, extracurricular activities and schools when choosing the location for your new home. Before you start looking, establish the price range you can afford. 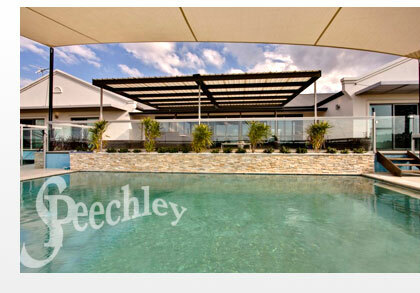 Speechley Property can help by assisting you to determine both your priorities and potential price range. Prepare a short list of preferred areas, even streets, that suit your lifestyle, bearing in mind affordability and accommodation requirements. Research sales in those preferred areas. Inspect properties in your selected area, so you have a feel for prices. There are two main methods of buying a home - at auction or by private treaty. At auction, if you are the successful bidder, you sign the contract, pay the deposit and exchange contracts unconditionally there and then. With private treaty, you may negotiate with a number of offers before agreeing a price with the vendor. If the property is residential, in NSW, you have the opportunity to exchange contracts with a 'cooling-off' period, or you arrange for your solicitor to exchange contracts with the vendor's solicitor. Note - >Your solicitor will advise you of the date and time of settlement. You are required to vacate the property by that time, as it then belongs to the buyers. View our property listings online, or speak to us today to find out how we can help find you the perfect home.